The proposed RPM transit TIF district leaves existing TIF districts alone. They could be redrawn, or they could be absorbed when they expire. Donald Trump’s political base is mostly rural and suburban residents, many of whom have no love for transit, and he picked a road lobbyist to lead his transportation transition team, so it’s likely funding for urban transit will be harder to come by under the new administration. That could jeopardize chances to fund the Red and Purple Modernization project (RPM). In anticipation of this problem, the Chicago Transit Authority and Mayor Rahm Emanuel are racing against the clock to get the city’s first transit tax-increment financing district approved by a federal funding deadline, and before Trump becomes president. Recently passed state legislation allows Chicago to create tax-increment districts four specific transit projects. Unlike regular TIF districts, the transit TIF law prohibits the new zones from diverting any funding from the Chicago Public Schools. Under the Obama administration, the U.S. Department of Transportation is likely to provide $1 billion in funding which would cover 50 percent of the RPM project cost. This would come in the form of a “Core Capacity” grant, a funding source for expanding capacity on existing transit systems, designed several years ago with the CTA project in mind. The transit agency wants to rebuild the Red and Purple Line tracks between Lawrence and Bryn Mawr in Phase 1, and from Bryn Mawr to Howard in a future phase. In fairness, Trump hasn’t actually said that he’s going to slash transit funding, but his transportation policies are ambiguous. The official Republican party platform calls for the federal government to stop funding transit, but Trump hasn’t signed on to that platform. He has said he intends to spend $1 trillion on infrastructure over 10 years, which would include all types of transportation, but politicians and experts have expressed doubt that his proposed funding mechanism would work. The CTA will be eligible for Core Capacity funding if it submits an application by November 30. The city’s consultants estimated that the RPM transit TIF district would generate about $623 million over the district’s 35 year life span, which would be used to pay back a federal loan to cover matching funds for the $1 billion Core Capacity grant. As the better transit service created by RPM increases property values in the surrounding neighborhoods, additional property tax revenue would be generated. In accordance with the transit TIF law, the Chicago Public Schools would get the same share of this additional “increment” as it would if the transit TIF district didn’t exist. The transit TIF would get 80 percent of the remaining increment money, and other taxing bodies would get 20 percent. Before the the CTA can submit its funding application for RPM by the November 30 deadline, approval for the transit TIF from three local authorities is required. Tomorrow the Community Development Commission will hold a meeting to approve the TIF district. Adopting new TIF districts and redrawing existing ones is essentially the commission’s only responsibility. On Thursday, the Chicago Plan Commission will vote on approving the proposed transit TIF. And next week City Council’s zoning committee will vote on the TIF. 43rd Ward alder Michele Smith has opposed the boundaries of the district, arguing that while the TIF would capture tax revenue from her ward, the improvements to Red and Purple tracks and stations wouldn’t include infrastructure within the Lincoln Park community area. However, thousands of daily CTA commuters who live in the area would directly benefit from the improvements. 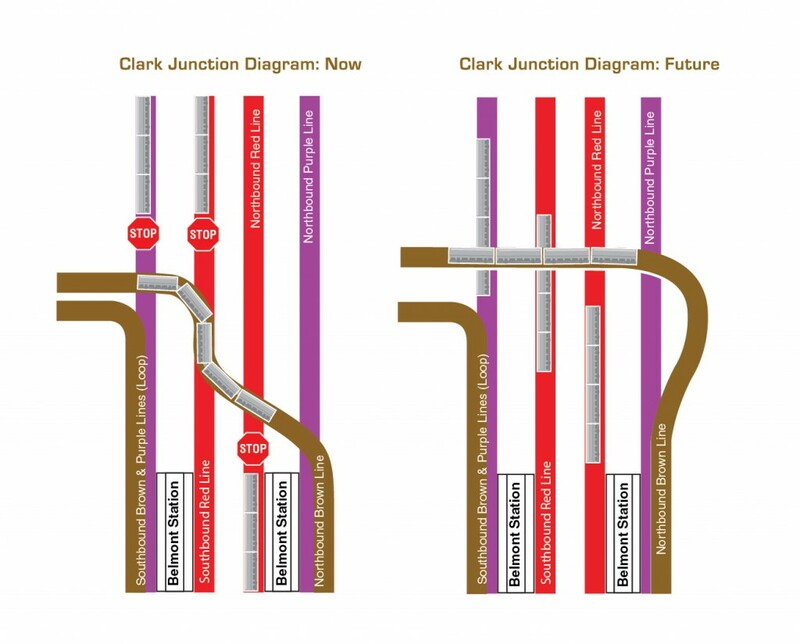 The project would increase the reliability of transit service north of Belmont, while the Belmont flyover would eliminate track-crossing delays, allowing the CTA to add more rush-hour trains to relieve overcrowding. The work would also benefit Lincoln Parkers with disabilities because it would make the four Uptown and Edgewater stations ADA accessible, opening up new travel options for people who can’t climb stairs. Smith doesn’t serve on the zoning committee, but we can expect a “no” vote from her when the full council votes on the TIF. On the other hand, 48th Ward alder Harry Osterman is a strong supporter of the TIF because many of the infrastructure improvements would take place in his district. But, again, the the increased reliability, capacity, and accessibility would benefit residents and merchants along the entire Red Line. It hasn’t yet been determined when the full City Council would vote on the TIF. The next regularly scheduled council meeting is tomorrow, so Mayor Emanuel would have to call a special session. Chicago straphangers can breath a sigh of relief. Aldermen voted to pass the tax-increment financing district that will fund the needed "L' improvements.